In order to purchase your Employee Feedback Report, you must first register for program participation. Please click here to register. If you have already registered and would like to purchase your Employee Feedback Report, please fill out the form below. Purchase your Employee Feedback Report NOW and SAVE 10% off the price. 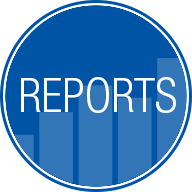 * This report details the results of your organization's specific survey results to each of the 78 survey questions. The report also includes benchmarking as well as the employee comments transcribed exactly as submitted by employees. Similar reports can cost thousands of dollars if initiated independently. *Fees are non-refundable. After May 24, 2019 the reports go back to regular pricing. **To ensure the credibility of the information, companies with 15-24 employees must have an 80% (or better) response rate on the employee survey to be considered for the list. ***Employees are randomly selected. Best Companies Group offers the option to survey more employees than the random sample calculated in the above chart, and/or include additional employees in the survey process who work in locations outside of the program area. Please contact Best Companies Group for details and pricing at 717-323-5214.